Advantech’s EN 50155, EN 45545, and IEC 60571 ARS series are railway standards certified, which guarantees the high levels of shock and vibration resistance that enhances their operating longevity. With a growing global population, the need for intelligent transportation also grows. Railway networks, as well as other ground transportation, are adopting information technology at an incredible pace in order to serve the needs of an interconnected world. 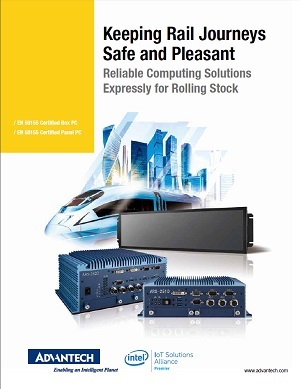 Advantech has long been devoted to designing computing solutions specifically for rolling stock–ARS series, solutions with enhanced reliability that make for safe, efficient journeys for passengers and goods alike.